A new luxury walking tour from Portland-based Next Step European Travel sets the awe-inspiring mountains, lakes, and river of Eastern Europe at your feet. Imagine all the Old World gorgeousness of Germany and Italy—the medieval castles, the alpine lakes, the rustic villages, the Belle Epoque villas—but without the tourists. Thanks to a new luxury walking tour from Portland-based Next Step European Travel, the mysterious lands of Croatia and Slovenia lie at the toes of adventurous Pacific Northwesterners looking for an off-the-beaten-path outdoor vacation. Next Step’s eight-day, seven-night luxury walking tour offers the best of Slovenia’s interior plus the sunny Adriatic coastline of Croatia. 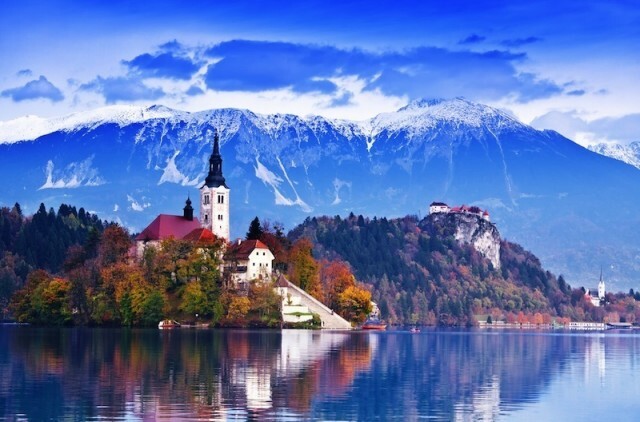 Hoof it Von Trapp Family-style (yodeling optional) through Lake Bled and the Vintgar Gorge at the foot of the Julian Alps in Slovenia, then take a boat down the Bohinika River all the way to the Adriatic Sea and the resort town of Opatija. Need more incentive? Ponder a stroll through the sleepy villages of the Istrian Peninsula; a walk along the Lungomare, a 12-kilometer coastal pathway; and a visit to Rab Island, one of the more secluded islands off the Dalmatian Coast. For $4,850, spend a week-plus enjoying all-inclusive hotel accommodations, meals fit for foodies, and many fine wines. Check out the full itinerary here for optional add-on trips. Next Step’s intimate structure (all trips are led by veteran travelers Dave and Donna Johnson) customizable tours, and more than 20 years of tour-leading experience mean that any Portlander can find the right trip. If it’s not Slovenia and Croatia, maybe it’s France or Austria. To find the walking tour that’s right for you, visit nextstepwalks.com.